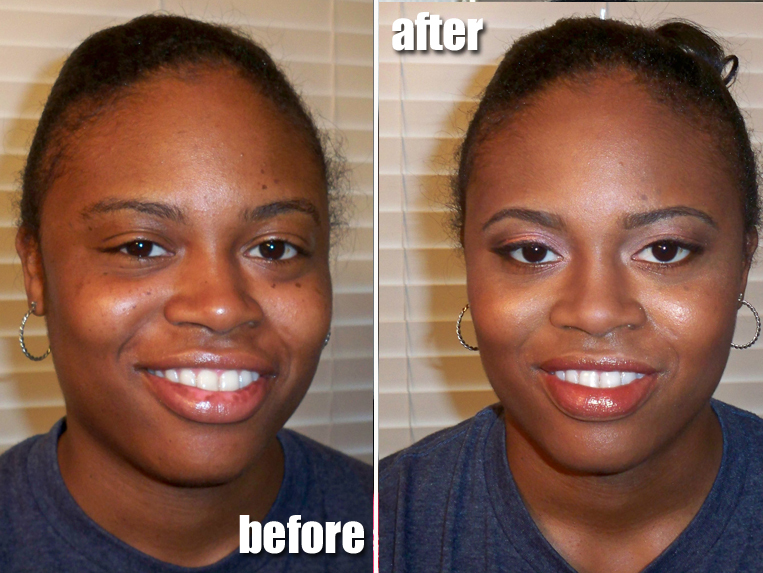 My client's makeup routine pretty much consisted of lipgloss. Part of being a makeup artist is being a part time psychologist...working through a client's trepidations of putting on makeup and looking different. My client had actually gone to MAC and did a consultation for her wedding, purchasing items that the MAC artist recommended. The problem was that she had no idea how to use them. I used her new products and some of my own and was able to create a look that she was comfortable with. We went with soft, autumn colors for this Fall wedding. The bride also had a little bit of discoloration on her lips..there were some lighter white patches. To fix this, it's very important to even out the lip...I did this by applying concealer than going over the lips with lipstick and gloss. I just got in some great makeup shots from the wedding, stay tuned for an upcoming post! I love when you show us the bridal trials! Your awesome! wow!! i LOVE what you did to her brows, that totally made the face for me! I think the before and after is really nice. I think her new brows look great too. Great job! make overs are the best! Specially for such a special day! Wow! This is stunning. Thank you for sharing bridal trials. She is looking good after using this. Lovely.